An increased use of technology is one of the main focuses of the NHS Long Term Plan. Published in January 2019, the plan sets out the government’s ten-year blueprint for the NHS in England, highlighting the role that digital health will play in the NHS. 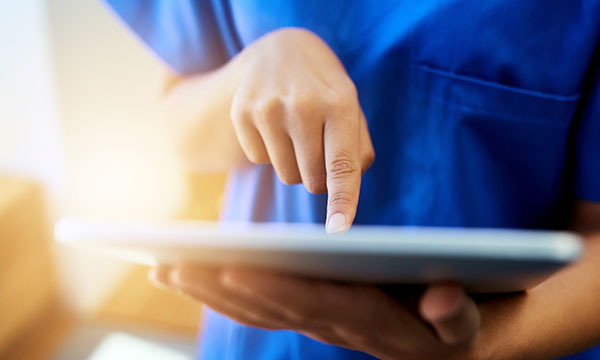 As the largest group of healthcare professionals in the NHS, nurses are likely to be the main users of digital technology in the future, and it is important that nurses are involved in decisions about what technologies to introduce and the design of those systems. Health information technology, or digital/health informatics, is about how to use information to provide better care for patients. We know from other areas of our lives that technology has transformed the way we do things, and it’s the same in healthcare settings. Electronic health record (EHR) systems, for example, can help nurses to find patient information more easily and effectively. Research shows that having reminders or alerts – such as the early warning score built into the EHR – leads to better patient outcomes. Studies have also shown that building specific guidelines into the EHR, such as the SKIN bundle for managing pressure injuries, can lead to lower rates of pressure ulcers, while the introduction of electronic prescribing and bar code scanning for administering medications is associated with a reduction in medication administration errors. Patients are also increasingly using mobile health apps to self-manage their conditions and collect data. Despite these benefits, nurses are often reluctant to use digital technologies in their practice. This is unsurprising when you consider that introducing EHRs can increase the amount of time spent on documentation. Also, the usability of EHRs is often poor, which can lead to stress in the clinicians who use them. Alert fatigue, where clinicians can become desensitised to safety alerts, is a well-known consequence of technology implementation, particularly in critical and intensive care environments. So what can nurses do? The reason digital technologies are often difficult to use is because the people who use the systems have not been involved in their design from the outset. When nurses are involved in developing digital technologies, they are much more likely to be used and usable in practice. In September 2018, NHS Improvement released a career framework for nurses and allied health professionals interested in a career in digital/health informatics. This highlights the skills needed by nurses and others at different levels in their organisation, from champion or super users in clinical units – who have specialist training and help others to use technology systems in practice – to chief nursing informatics officers (CNIOs), who provide strategic leadership for the introduction of electronic systems across their organisation. Digital/health informatics in nursing is a new and exciting career pathway, with lots of opportunities for nurses to influence the way we structure and deliver patient care in the future. It is inevitable that the use of digital technologies in healthcare will increase, and nurses have a vital role to play in its success. 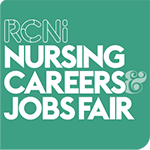 At the RCNi Nursing Careers and Jobs Fair in Manchester on 7 February, Dawn Dowding will present a seminar on how applying health information technology can assist decision-making in practice.